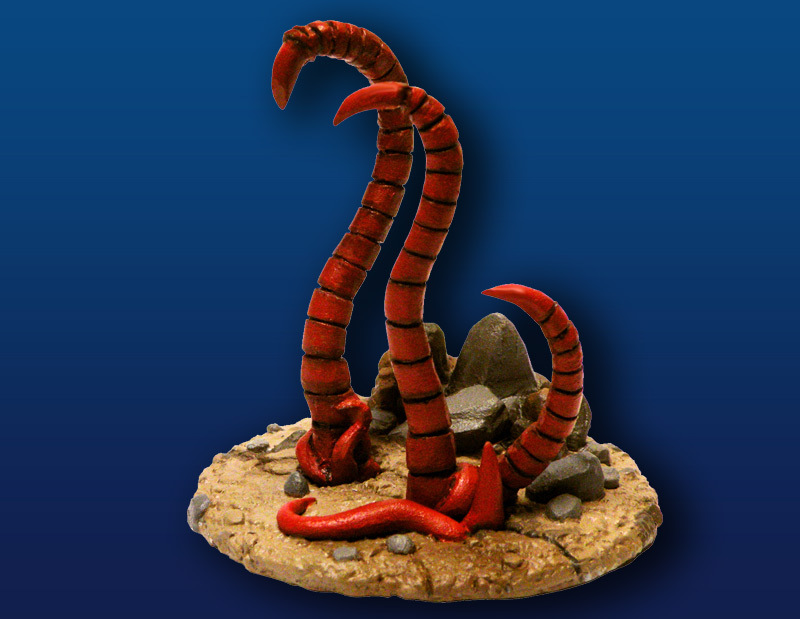 Description: Approximately 3 1/2 inches (86mm) tall and comes with an integral 3 inch diameter base, Bothrea the Tentacle Monster is a giant-sized kaiju designed for use in Kaiju Kaos - The Miniatures Game. The Rift awoke Cthulhu from his slumber, and the great cosmic entity raised R’lyeh from the bottom of the Pacific Ocean. In addition to Cthulhu himself, the surfacing of R’lyeh has unleashed countless horrors on the people of planet Earth. Despite the destruction caused by Cthulhu and his otherworldly minions, not all humans fear the godling; some call themselves Cultists of R’lyeh and have faithfully joined Cthulhu in the monster melee. Bothrea the Tentacle Monster is a supernatural minion of Cthulhu. Apart from its long, poisonous tentacles, no one has ever survived to describe what the giant kaiju looks like under the soil. Bothrea travels by burrowing and has been encountered on every continent on Earth. The Tentacle Monster’s origin is unknown but it has appeared in myths since the dawn of time. Official game stats for Bothrea the Tentacle Monster are available at WargameVault.com (see BRCSD912 – Kaiju Kaos: Eldritch Horrors Stat Sheets, Vol. 01).